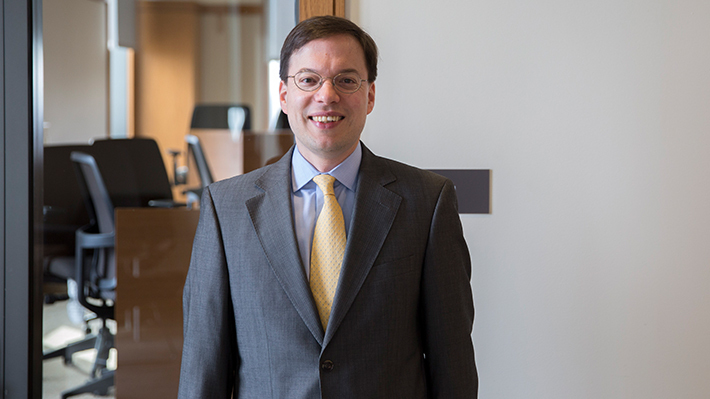 Daniel Dorn’s research focuses on investments and behavioral finance. His work has been recognized by awards such as the European Central Bank’s Lamfalussy Fellowship, published in leading academic journals such as the Journal of Finance and Management Science, and discussed in media outlets such as the New York Times and the Wall Street Journal. He has developed new courses in behavioral finance and portfolio management and taught at the undergraduate, graduate, doctoral, and executive levels both in the U.S. and in Europe. Dorn, Daniel, Student-Managed Portfolios: Wisdom of Independent Crowds?. Journal of Trading 13 (Jan 2018): 17-26. Dorn, Anne, Dorn, Daniel, and Sengmueller, Paul, Trading as Gambling. Management Science 61 (Oct 2015): 2376-2393. Dorn, Daniel, and Huberman, Gur, Preferred Risk Habitat of Individual Investors. Journal of Financial Economics 97 (Jul 2010): 155-173. Dorn, Daniel, Does Sentiment Drive the Retail Demand for IPOs?. Journal of Financial and Quantitative Analysis 44 (Apr 2009): 85-108. Dorn, Daniel, and Sengmueller, Paul, Trading as Entertainment?. Management Science 55 (Apr 2009): 591-603. Dorn, Daniel, Huberman, Gur, and Sengmueller, Paul, Correlated Trading and Returns. Journal of Finance 63 (Apr 2008): 885-920. Dorn, Daniel, and Huberman, Gur, Talk and Action: What Individual Investors Say and What They Do?. Review of Finance 9 (Dec 2005): 437-481. Associate professor of finance Daniel Dorn provides tips for people resolving to improve their financial management in 2017. Drexel has added $500,000 to the student-managed Dragon Fund. The students in this course and faculty adviser Daniel Dorn now manage over $1 million of the University’s endowment. Seniors Joshua Kohler and Anthony Gryscavage, along with Dragon Fund faculty member, Daniel Dorn, associate professor of finance, and Cathy Ulozas, Drexel chief investment manager, are interviewed about the success of the Dragon Fund and how it has exceeded the market in 2013 by 42.7 percent investing mainly in U.S. mid-cap stocks.